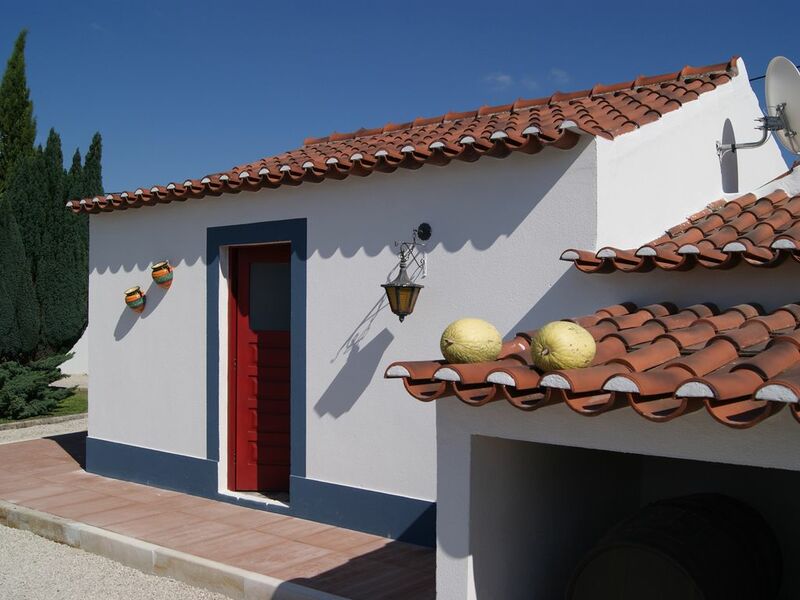 Farm in the country side sarrounded by vineyards in a small place called Areias Gordas-Palmela.,located at 12 Kms of Setúbal/Troia and beaches, at 45 kms of Lisbon and 8 kms of Palmela historic village. Close the two highways to Lisbon. We Have 2 independent houses and 2 independent 5 star rooms with bathroom, tv, air conditioner, mini bar . I´m a seaman merchant marine Captain and port pilot since 1991. I´m 62 and talk 5 languages- English, French, Spanish, Italian and Potuguese. I think I´m a good cook. I use to cook once in a while to the guests for free and they enjoyed very much. You can read the notebook they left to us. I`m married with Cristina , 60 years old. We live in the property with a 19 old son. We are from the North of Portugal ( Viana do Castelo ) but for job reasons became " Emigrants". First in Sines till 1997 and since then Setúbal. We Build this house in 2007 to live and rest in the country side. We forgot that we can´t fight against the time and became older and alone. With people we feel confortable and in company. We love to receive persons and talk. In two month of this business we made lot of friends. Hope you to be the next one. Near the ocean , river and beach. All the are around the farm is rural. Specially vineyards. Setubal as a great river with dolphins to visit, river boats to visit the coast and birds living in the area, having meals on board, fishing boats and so on. we are 3Kmts from an International Kartodrome -KIP (Kartódromo Internacional de Palmela. 3 Kmts from a Mechanic Music Meuseum and pedonal ways betwin the farms and vineyards.